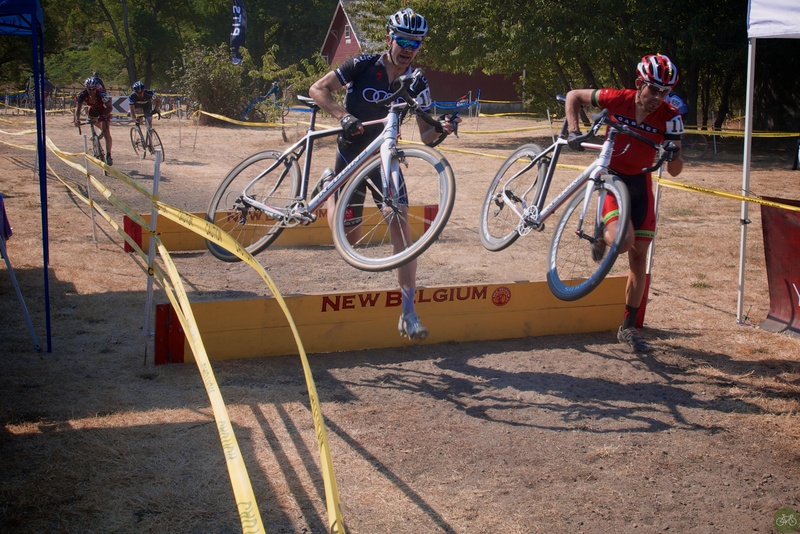 While I spent most of the Masters Natz crit in the medic tent, Steilacoom was in the pits. The D-Plus performed flawlessly, it was the shoes. My A shoes are already in Sin City for Cross Vegas, I brought the B shoes. Tested, checked, and tightened them before the race. 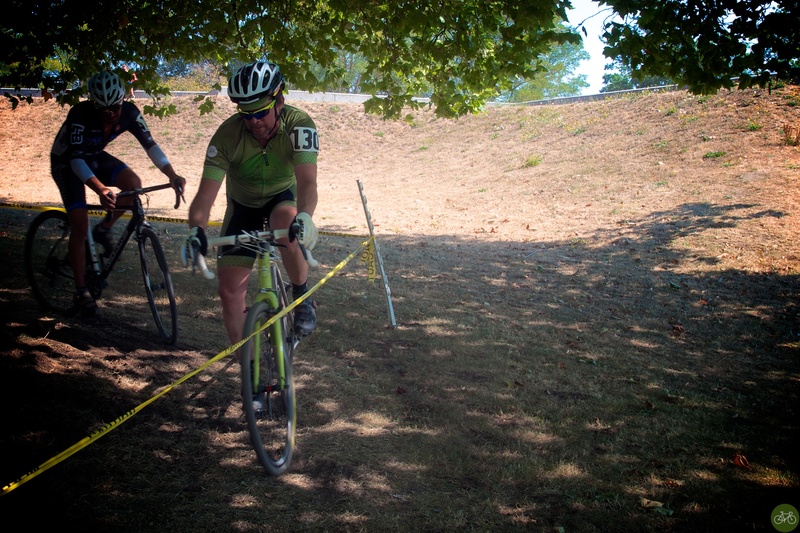 The cleat plate broke loose after a hard strike on the pedal coming out of the first barrier on lap one. After avoiding three crashes before the mechanical, I was in full fight or flight mode. I cut the course to get to the pit running through trees and down a rocky descent. With the bike on my shoulder and a Swearengen-style string of expletives announcing my arrival, I breathed deep to calm down. The wrenches from Gregg’s Greenlake helped me out. Considering it’s a g-rated show out there, spoke low when toddlers were present and told the USCF officials I’d been coming in there every few laps like a NASCAR changing tires. Back in the race, had no idea where I was, just tried to get into a rhythm on the climbs, bomb the descent, and try not to run into a tree through the chicane. The gauntlet-crowd liked the powerslide Hulk smash I did into the second set of barriers when my foot didn’t come out. Later laps, I explained that my cleat was broken and to not judge my technique too poorly. I wouldn’t call it a curse, but Steilacoom always presents a challenge for me. Last year, I got taken out in turn one. 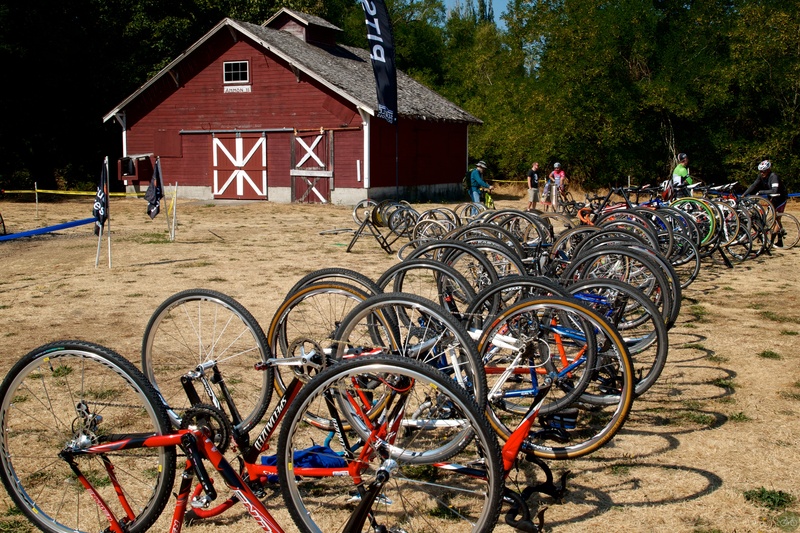 This year, Bontrager shoes failed and were deemed unfit for race duty. I ceremoniously threw them away back at Hugga HQ. That’s racing and I felt good out there. As mentioned above, it’s Cross Vegas next and the 7th Mobile Social. See more photos from SCX #1 lightboxed on G+ and Flickr.